Then, once we got the thing unclogged (it was a pair of my underwear stuck in there thankyouverymuch,) our kids were up all night with stuffy noses climbing in and out of our beds and crying. Bleary eyed and full of coffee, I texted the hubs the next morning and asked him if being a grown up was all he ever dreamed of… He said no, haha. I also had the thought that this is probably why couples on The Bachelor never quite make it. After flying around the world going on incredible dates, the Bachelor couples get home and have to unclog vacuum cleaners together. It’s not exactly the picture our society paints of marriage and life as grown ups in general. Still, there are some major perks to adulting. It’s nice to work hard and see the fruits of our labor. It’s nice to plan trips, to see our children grow up, and to take care of the first home we bought together. Crazy as it can be sometimes, this life – our life – is something worth protecting, which is why today I want to encourage you to complete that last major and ultra important adulting step: getting some life insurance, yo. Now, I’m going to try to make this as engaging as possible, because I know life insurance does not whip all of you into an excited frenzy. I’ve just come to realize that so many of my friends have children and have not taken this critical step yet. Even if you don’t have kids but you’re married, you really NEED to do this. 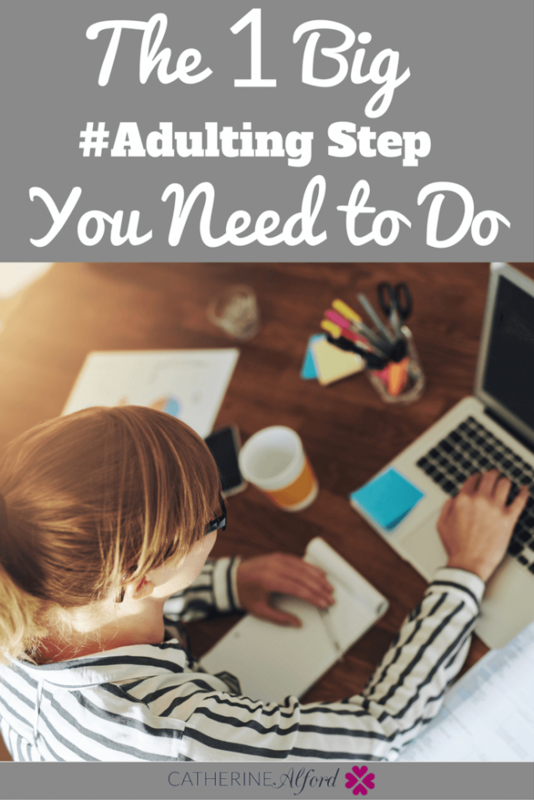 It’s adulting at its finest, and it’s absolutely critical. Why Do I Need to Pay for This Again? So glad you asked. If something should happen to you, like a car accident or you get sick and pass away unexpectedly, your family will be protected. You’ll pay a monthly fee and if something should happen to you, your family will get a lump sum payment. You’re supposed to take your income and multiply it by 12 in order to find out how much coverage you need. So, for example, I am covered under a 1.5 million dollar policy, which my husband will get if something happens to me. This will help him to essentially “replace” me with childcare, housekeeping etc – all the things I do. I realize nothing could ever replace a spouse or a parent, but talking in pure numbers, a lump sum life insurance payment would enable your other half to take care of your kids the way you always wanted them to be taken care of. Then – and this is important – you’ll want to get term life insurance NOT whole life insurance. Whole life insurance is not a smart #adulting move. It’s not an investment, as many whole life salesman will have you to believe. You just need term, which is as it sounds. You buy life insurance for a specific term – usually anywhere from 20-30 years. The reason many financial experts, myself included, recommend term insurance is that by the time you hit that 20-30 year mark when the insurance coverage ends, you’ll should have saved enough money in your nest egg to protect your spouse or your children with your own money. To find the best prices, the #1 independent term life sales agency in the country is called SelectQuote. It’s a company you can use to compare prices of many different life insurance companies. That way instead of going to just one company directly, you can compare tons of them – kind of like buying car insurance. Cant I Just Wait and Buy It When I’m Older & Have More Money? Nope. You cannot. Now is the time. The reason is that the younger and healthier you are, the more affordable life insurance is. Once you start getting health problems and get older, the cost to insure you goes up. The absolute best time to get life insurance is now, before you get old and creaky. 😉 All joking aside, you never know what can happen. Many people who get certain illnesses, syndromes, or unthinkable things like cancer might become ineligible for life insurance. So, it’s time to lock in things now while you can. Yes, I’m not going to lie, I don’t really enjoy sending over money every month for life insurance. It takes up a line in my budget that I’d love to send somewhere else, like to debt repayment. But, the truth is that paying for life insurance every month is a selfless act. It’s something you do to protect the ones you love so that your responsibilities to your family don’t end if something happens to you. So if you haven’t completed this #adulting task yet, it’s time to get ‘er done. The process isn’t as bad or as long as you might think and once you have it, you’ll never have to revisit it again. Do you have life insurance? Why did you get it? Kids? Spouse? Let me know! Disclaimer: This article was brought to you by SelectQuote to educate my readers about term life insurance. All thoughts and opinions are my own, as always. I’m hopefully going to be starting my first Grownup job pretty soon, and my employer has a sweet benefits package. I’ve never had life insurance before, but it’s at the top of my list of things to sign up for – after health insurance, of course! Haha nice!! That’s too funny. That sounds great – congrats on the job! I am planning to get a life insurance for my kids. I and my husband consider this as a need and security. Based on experience, it was really an advantageous to have one because the coverage of life insurance reduced the cost we had to pay. When you first realize that you have to #adult, it doesn’t seem so great! We now are forced to do things that were once taken for granted such as not having to unclog your own vacuum –a big thanks to my mom for doing that for so many years! But adulting does have its perks like you mentioned! And those perks (such as raising a family, and doing something you have always wanted to do) are the reasons why having life insurance is so important so that you can continue having those perks!